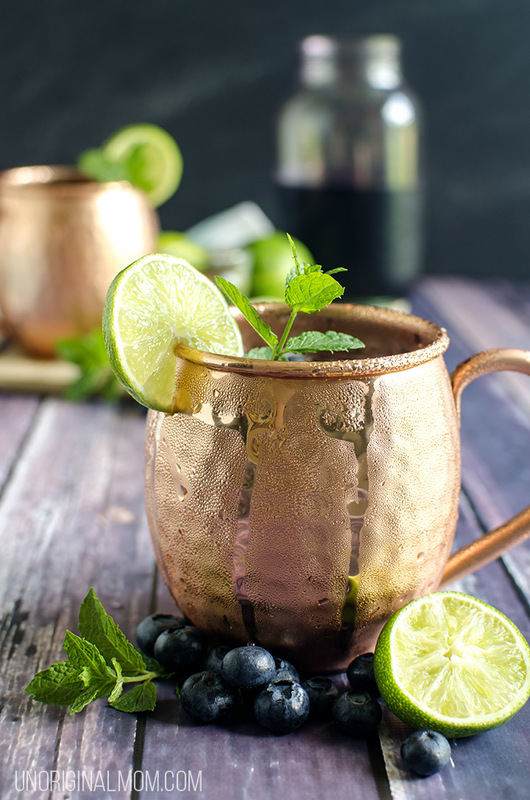 Anyway, we don’t tend to like super crazy or overly complicated cocktails, but recently my husband and I “discovered” the Moscow Mule cocktail. 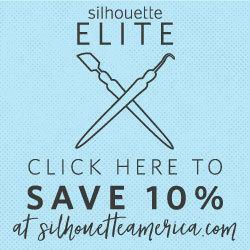 How did we not know about this until now? 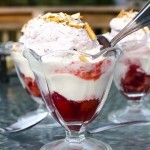 It’s easy, refreshing, delicious, and not too sweet. 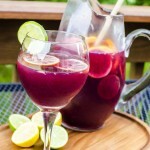 It has become our go-to cocktail this summer! 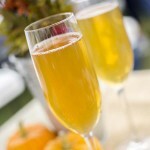 All you need is ginger beer, lime juice, and vodka – plus some mint leaves if you have them, which I grow in my herb garden so I always have plenty. 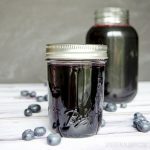 I made a big batch of blueberry simple syrup last week (find the recipe along with a little recipe booklet printable here! 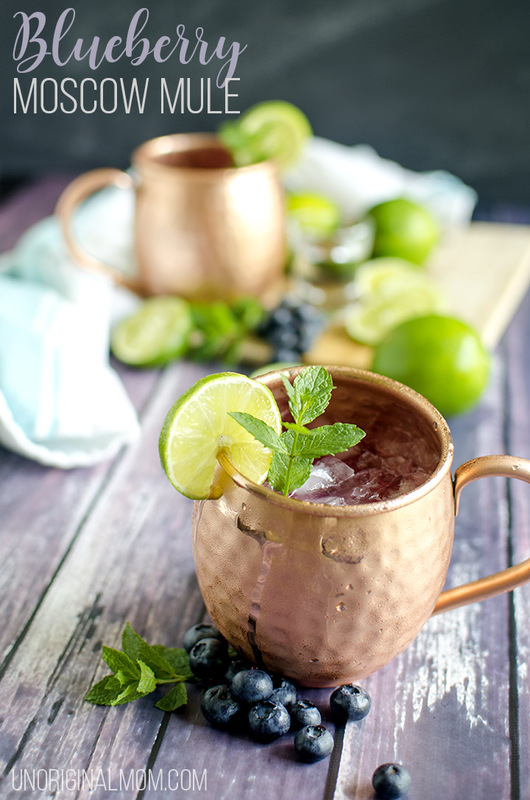 ), so I decided to use it to make a Blueberry Moscow Mule – oh my gosh, is it good! 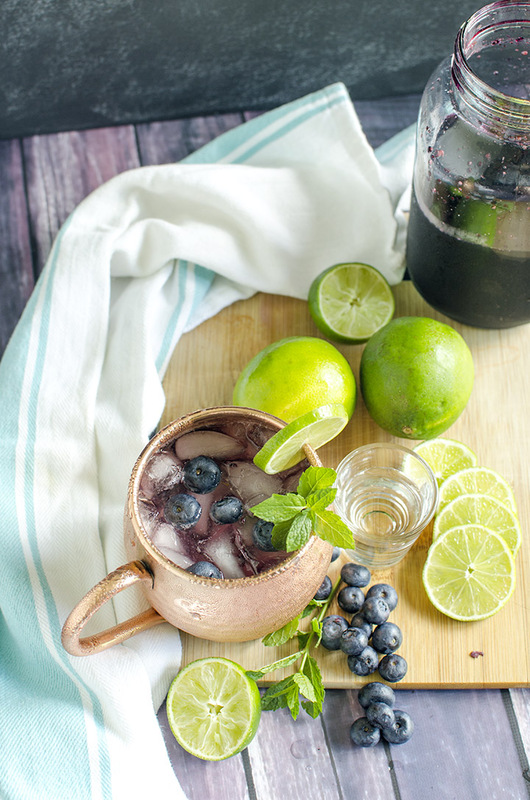 The blueberry simple syrup adds just a bit of sweetness and flavor, paired with the freshness of the lime juice and the tang of the ginger beer…it’s SO yummy. 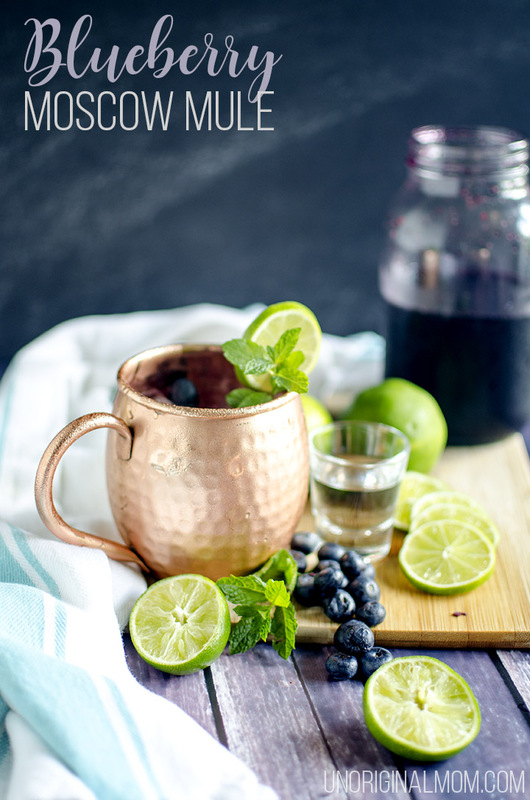 I’d recommend whipping up a batch of blueberry simple syrup to keep in the fridge, buying a big bag of limes, and stocking up on ginger beer so you can make a Blueberry Moscow Mule whenever the mood strikes! Mix ingredients together and garnish with mint leaves. 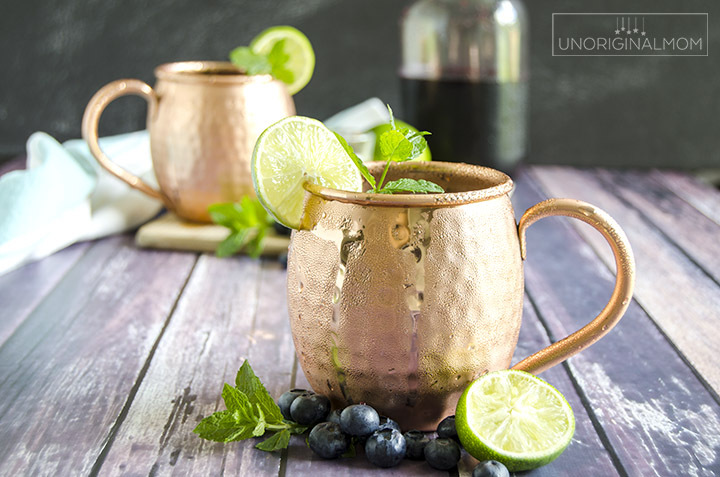 Moscow Mules are my favorite! 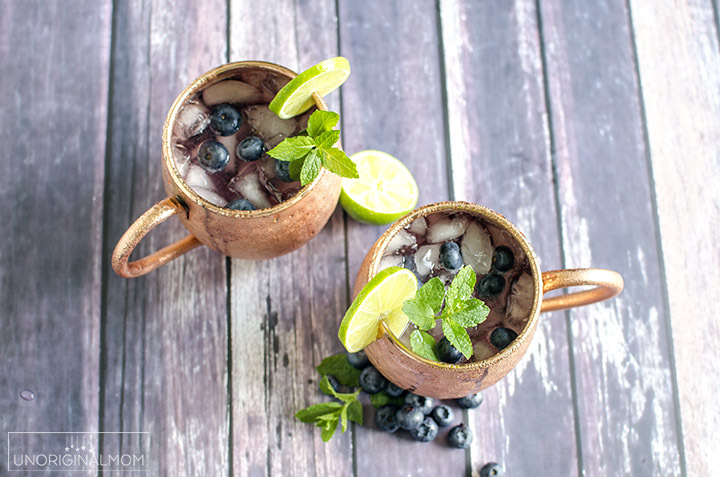 I love the spin of adding the blueberry syrup, and it gives me something else to do with my mint :) Will definitely be giving this a try.